If you are still in the land of ink-jet printers, it’s time to get out! For the cost of new ink you could get a new printer, that will only need a refill once a year (and that only costs $12)!! 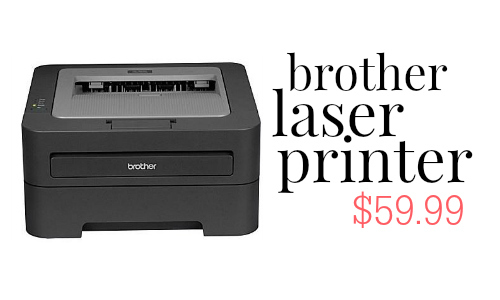 Right now you can get a Brother HL-2320D Mono Laser Printer at Staples for only $59.99 (reg. $99)! It also has free shipping. If you shop in-store you can get an ever better deal! 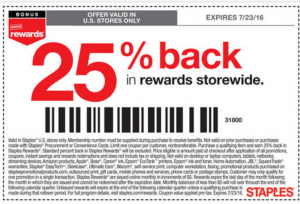 This week the staples ad has a coupon for 25% back on your entire purchase in Staples Rewards. Head in the store and you’ll get the same sale price, but also earn $14.99 back in rewards. That makes it $45 after Staples Rewards! This is my all time favorite coupon printer. Being a laser printer it prints crisp clean barcodes that always scan and prints a ton of pages per toner cartridge. It comes with toner that will print 700 sheets and then head to Amazon and get a high yield replacement cartridge for around $10 that will print 2600 sheets! I know many of you already have this printer, so leave your thoughts below to help others decide if this is right for them.